In early-1970s Las Vegas, low-level mobster Sam "Ace" Rothstein (Robert De Niro) gets tapped by his bosses to head the Tangiers Casino. 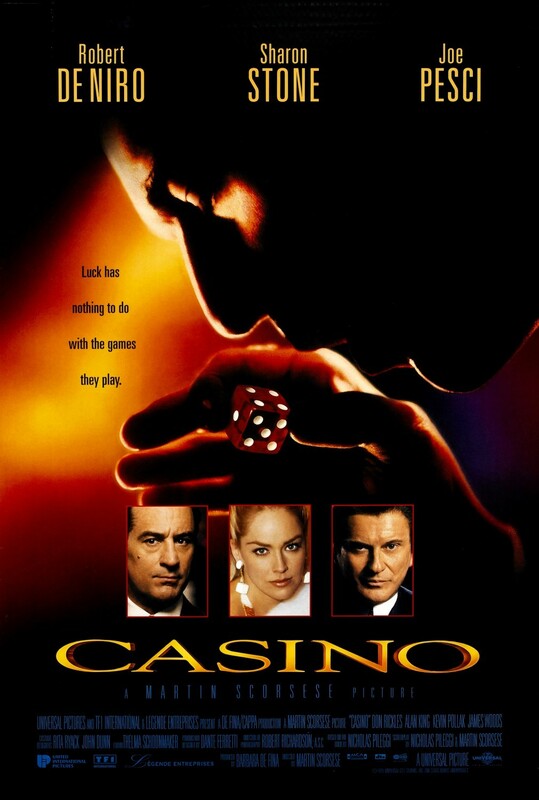 At first, he's a great success in the job, but over the years, problems with his loose-cannon enforcer Nicky Santoro (Joe Pesci), his ex-hustler wife Ginger (Sharon Stone), her con-artist ex Lester Diamond (James Woods) and a handful of corrupt politicians put Sam in ever-increasing danger. Martin Scorsese directs this adaptation of Nicholas Pileggi's book.